This tangible task is worth trying. My partner jokes that one of most enviable skills is my ability to fall asleep within seconds of getting in bed. If you don’t possess this gift and you’re more like the 40% of Americans who have a tough time falling asleep, a study in the Journal of Experimental Psychology offers an update to the well-established tool of journaling to lessen anxiety. Researchers at Baylor University investigated whether journaling about completed activities or creating a future to-do list would help people fall asleep faster. You’d think the latter might make us more anxious, and thus delay sleep, but the results suggested otherwise. The researchers recruited 57 healthy adults between the ages of 18-30 to take part in the study, which took place in an overnight sleep lab. Before going to sleep, half the group was asked to write down everything they needed to accomplish in the coming days, while the other half was asked to write down already completed tasks. According to the data (which included eye-movement and brain activity), people who wrote down their future to-do’s fell asleep nine minutes faster than the “completed tasks” group. When taking a closer look at this group, researchers found that the people who were more detailed in their to-do lists fell asleep faster than those who recorded quicker/less specific jots. 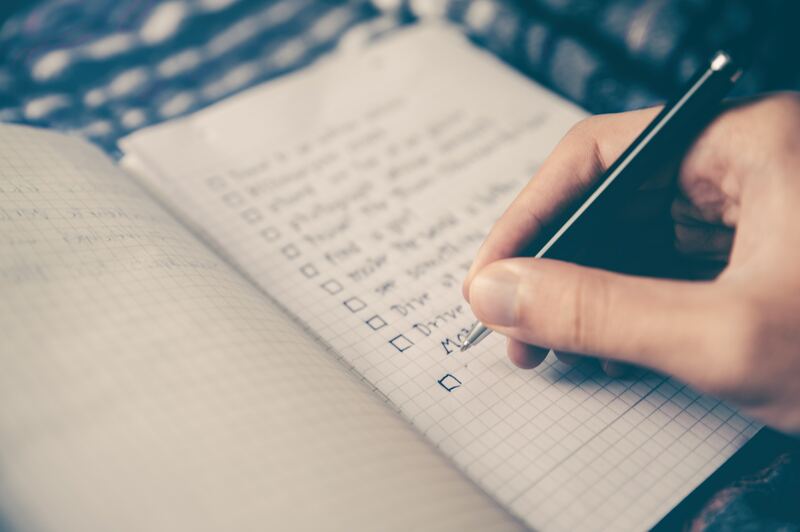 Though this was a small study, the results suggest that trying a to-do list is a worthy task, especially for those who spend hours in bed ruminating about what they need to get done. Michael Scullin, the lead author of the study, says that while many people spend time thinking about everything they’ve got on their plate, few people actually record it all down, and it’s the tangible task of writing that may be the key ingredient for falling asleep.